Here is my ticket from Rolling Coconut Review Concert held Sunday April 10, 1977 at Harumi Dome Tokyo, Japan. It has made a great bookmark all these years since. I attended the Rolling Coconut Review Japan Concert in Tokyo that was a benefit concert for “Japan Celebrates the Whale & Dolphin – the Seas Must Live” event by The Dolphin Project in 1977. The Rolling Coconut Review featured an amazing gathering of performers including Jackson Browne, John Sebastian, J D Souther, Fred Neil (1936-2001), Country Joe McDonald, Paul Winter, Terry Reid, Mimi Farina (1945-2001), Richie Havens, Danny O’Keefe, Odetta (1930-2008), Warren Zevon (1947-2003), Eric Andersen, Lonnie Mack, Japanese folk singer and actor Izumiya Shigeru, and a jazz-funk band named Stuff with keyboardist Richard Tee (1943-1993), drummer Steve Gadd, guitarist Eric Gale (1938-1994), guitarist Cornell Dupree (1942-2011) and bassist Gordon Edwards. At the time that I wrote this blog I think all of the musicians who passed away prior to 2012 died from cancer with the exception of Odetta who died from heart disease. Their incredible contributions to music can be found on Youtube or online music tribute web sites but their participation in the Rolling Coconut Review Japan Concert is seldom told. 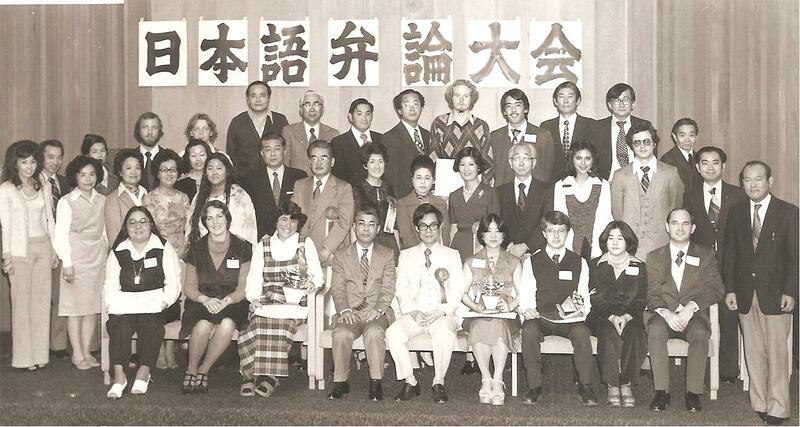 I first met The Dolphin Project coordinator Mark Lavelle at a Japanese Language Speech Contest in San Francisco in 1976 sponsored by the Japanese Speaking Society of America (Beikoku Nichigo Kyokai). Mark’s speech in Japanese was about the campaign to save the whales. My speech was about my experience as an exchange student in Japan in 1974-75. Neither of us won the contest but Mark and I were both headed back to Japan and I arrived in Tokyo in December 1976 and made contact with the Tokyo office of The Dolphin Project to learn about the dates for the concerts to be held in the spring of 1977. When I met Mark in Tokyo that year he invited me to attend the events and also the aftershow party that was held at the end of the concerts. This was probably the concert of the decade in Tokyo although I had seen Stevie Wonder in a remarkable concert at the Budokan in 1975 while spending the year as an exchange student at Waseda University. At the aftershow party I enjoyed meeting Jackson Browne, talking to John Sebastian and doing a little interpreting for Richard Tee of Stuff. He was a pretty big guy and the Japanese fans were really looking up to talk to him while I was tilting one ear down to hear them and the other up to hear Richard. He was a lot of fun and the entire party was good times. There was film footage shot of the event by Eric Christensen filming the event who is known for his film The Trips Festival Movie, other Rock n’ Roll concert films, and television programming of sporting events (See http://www.thetripsfestival.com/eric.html ). I don’t think that his Rolling Coconuts Review Japan Concert film was ever released and it would be great to see the footage now of the concerts especially since The Cove received so much attention and yet many of the perfomers who particpated in the Japan Concert are no longer with here to tell their stories. If you need additional information, then please reply to my e-mail address. Very sorry to hear this news. We corresponded a little in recent years about the 1970s concert but I had not heard anything about him this year. I have known Mr. Mark Lavelle if he is in fact the same person I think. I knew him as Rusty because of his red hair. He was called by this name by his family in Philadelphia around the time I was closely associated with him. I have worked with him in “Save the whale” campaign. I also worked with him when he was employed at Sony Language School in Yokohama. I lived with his family for about a year in Philadelphia, they were kind enough to take me in as a host family. We have had some missed opportunities to get together in the last few decades and lost contact. I just stanble upon this article by chance and very sadden by the news of him passing away. Again I’m not sure if this is the person I knew.